For decades, successful treatments have been developed and applied for an array of maladies of the thyroid. Hypothyroidism, in particular, is a very common disease that in the US alone affects more than 8 million people. Treatment modalities evolved during the 20th century and the great news is that the majority of the patients does very well with thyroid hormone replacement and can experience a high quality of life after diagnosis and treatment. Thyroid hormone replacement is accomplished through administration of levothyroxine, L-T4, which is considered a ‘prohormone’ as it is only converted to its active form after it is absorbed and enters the multiple tissues of the body. The active form of thyroid hormone, T3, is made by conversion from T4 via an enzyme called the type 2 deiodinase (D2). As no human has ever been found to lack D2, it has been assumed that all patients can convert T4 to T3 and thus L-T4 has been considered a universal strategy for thyroid hormone replacement. Despite this ideology, new evidence indicates that T3 levels might not be fully normalized in such patients, which could explain why a minority of hypothyroid patients remains symptomatic with L-T4; in fact, some demonstrate improved well-being and prefer treatment with both L-T3 and L-T4. However, this has remained a polemic issue as the majority of clinical trials failed to demonstrate an objective benefit of combination therapy. It is conceivable that minor differences within subgroups of hypothyroid patients could make them more or less responsive to L-T4 or L-T4+L-T3. How can we identify these differences? In 2002, investigators described a ‘polymorphism’, or a very prevalent mutation, in the D2 gene and found it to be associated with insulin resistance. Other groups have described associations between the polymorphism and many other conditions including bipolar disorder, mental retardation and low IQ. In addition, there is at least one large clinical trial in which hypothyroid patients with the D2 polymorphism improved when treated with L-T4 + L-T3. The discovery of the D2 polymorphism was a huge source of excitement for thyroidologists as many presumed that this polymorphic enzyme would hold the answer to the question of why some hypothyroid patients remain symptomatic on L-T4 treatment. However, many studies over the last decade failed to connect the polymorphism in D2 with a logical disease mechanism such as decreased ability to convert T4 to T3. Studies that have just been published in the Journal of Clinical Endocrinology & Metabolism have found that the polymorphic D2 has a longer half-life and, as opposed to normal D2, accumulates in a compartment of the cell known as the Golgi apparatus. This is associated with broad signs of cellular stress even at the genetic level. Interestingly, some of the alterations seen in cells expressing the polymorphic D2 improved after treatment with an antioxidant. 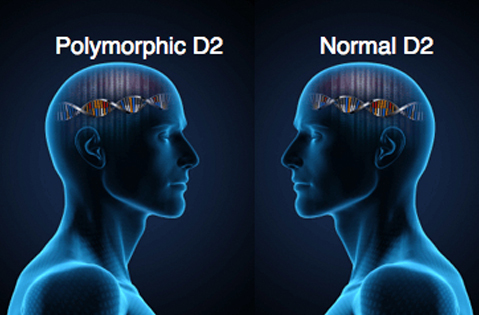 These studies were confirmed in human brain samples from postmortem donors that carried the D2 polymorphism. In addition, the pattern of gene expression found in these brains suggested similarities with neurodegenerative disease, a remarkable finding. Although much more research at both the basic and clinical levels needs to be performed, we are much closer to understanding the disease mechanism tying the D2 polymorphism with a number of associated conditions, including responsiveness to L-T4. This may one day lead to a treatment approach for hypothyroidism that is individually directed based on genotype, hopefully providing a means to resolve symptoms in all of our patients.